Restored 1979 Suzuki GT250X7 Motorcycle. 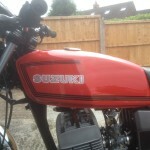 This great little Suzuki X7 was restored by its owner. New pistons, rings and small end bearings were fitted. The cylinder barrels and head were vapour blasted. The fork tubes were re-chromed and rebuilt with new seals. 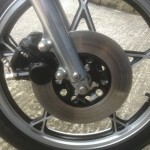 A new genuine front mudguard was fitted. The front and rear wheel bearings were replaced. 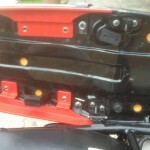 A rare new genuine fuel tank was sourced and fitted. New genuine down pipes were fitted. The rear mudguard was replaced with a new item. The rear footrests were replaced. The paintwork was professionally finished. The brake pedal and kick start were replaced. A very nice restored Suzuki GT250X7 Motorcycle. 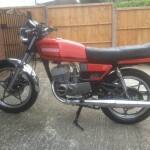 Suzuki GT250X7 – 1979 For Sale or Wanted? If you're looking for the perfect Suzuki GT250X7 – 1979 for sale then take a look at the hundreds of restored classic motorcycles listed on our extensive Motorcycles For Sale pages. 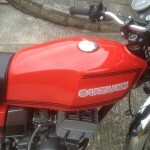 We regularly feature very nice restored Suzuki GT250X7 – 1979 bikes for sale. 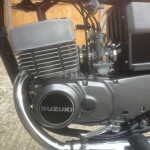 Spares and Parts for your Suzuki GT250X7 – 1979? 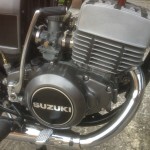 Workshop Manual for your Suzuki GT250X7 – 1979? 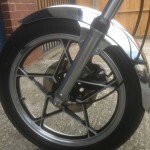 Hi, we’re an enthusiast website displaying photos and stories of some wonderful bike restorations.